Most kids don't want to be told that they need to go to summer school, but online summer school can be a whole different story. It can be flexible, so that your child can still pursue fun activities and family vacations during the summer months. Also, it can even be fun. For-credit, online middle school courses are typically offered to support the academic program of your child's current school. Be sure to check with your local school system to verify that any courses you may want your child to take qualify for credit. The courses must count toward certain requirements. This is crucial, as otherwise you may waste a lot of time and money on a class your child would only have to retake. Should Middle School Have Recess? Middle school students are likely to thrive at Bridgeway Academy, which offers both textbook/workbook correspondence courses and online classes. The correspondence courses can be led by the homeschooling parent, and the online classes are relatively small, allowing online students to interact with one another. Interactive courses and caring instructors ensure that students get personalized attention that caters to their own learning styles. In fact, what makes Bridgeway Academy so special is that will personalize an entire curriculum plan to suit your child's needs for the summer and beyond. This fully-accredited school encourages students to strengthen their skills in subjects where they may need improvement. Students are allowed to work at their own pace until they have mastered a topic. Also, scholarships and payment plans are available for students in need. Preparation is as simple as getting the class materials that will be needed during the course and being ready for the live online course at the designated time. Basic courses in math, English, and reading are available. Students can take as many as three courses from Bridgeway Academy during the summer. Open enrollment for the middle school summer program at Bridgeway Academy is between April 1 and June 30th each year. It's easy to register online. Simply click on the "Enroll Now" option, then follow the website's step-by-step instructions. You can even pay online. The registration fee for middle school students is $145, and tuition varies by the course. The Time4Learning website includes classes on reading, math, science, and social studies. They have enrichment remediation and preschool level lessons as well as programs especially for elementary and middle school students. In addition, the site offers special needs programs. You will receive progress reports throughout the sessions so you know how well your child is doing. Your student can use the Time4Learning online summer school courses to review topics that were difficult in the previous year. Also, they may study potentially challenging material that will be studied in-depth during the coming school year, so that they start classes in the fall feeling confident. It's not all hard work, though. The website's online playground for middle school students up through eighth grade can help make learning fun. What makes Time4Learning stand out is that it is a very affordable option for all families. You need to pay only $19.95 per month to access the lesson plans for middle school students, then you need to only pay for books and other materials. The classes at Time4Learning are correlated with state standards for middle school curriculums. As every parent knows, there is no one-size-fits-all solution for an ideal education. Some kids just want to go to school to learn a particular topic, and others need to get a head start if they want to get into a certain competitive school later on. Whatever the case, enrichment options for your child's education can help them thrive throughout the school year. This well-regarded online school has a lot to offer online middle school students. In fact, more than 90-percent of parents recommend the school. The school is flexible to work with homeschooling families with flexible start and end dates, but the curriculum is more structured. You may opt to enroll your teen or tween in the educational technology courses or the world language courses. The educational technology classes will be ideal for tech-savvy students. Students all across the US will greatly benefit from learning Spanish, and the innovative approaches that the school uses for the world language courses help students learn to listen and understand Spanish as well as read it, speak it, and write in Spanish. Classes are offered at $200 per course. You can enroll your student via phone by calling the school at 877-804-6222, or you can register online. Start by choosing your start date of June 2nd, 9th, 16th, 23rd, 30th, or July 7th. Then choose the end date. Pick your child's courses and pay for them. Follow the easy online instructions to complete the registration. 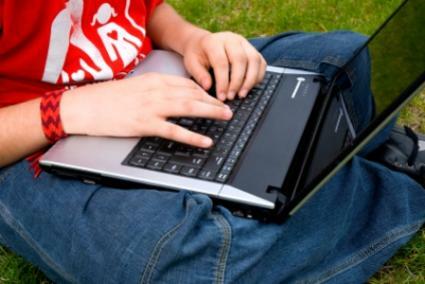 The eTutor online school offers a variety of enrichment courses for middle school students to take during the summer months. Students have the freedom to follow their passion here, with a wide variety of courses in topics that include geography, history, economics, algebra, literature, biology, and physics, among several others. The well-reviewed eTutor school is noted for its eclectic, broad-based curriculum. It offers a Guided Program Study for students who need carefully supervised instructions as well as an Independent Study Program for students who prefer to work independently. Students in both programs can receive one-on-one, personalized instruction. The tuition for summer school through eTutor is affordable, with pay-as-you go options where you can pay just $249 per month for middle school students. Registration is simple, and you can enter all of the information and your tuition payment through the guided online system. If your middle school student is enrolled in a class for enrichment, it's likely one that he enjoys anyway. However, all students need a little extra push sometimes. These tips can help you be proactive about being involved your child's summer education. Be sure to separate an area in your home where your child will be learning through the summer. It can hamper fun times if the same environment is used for study and play. You can set aside a separate area with something as simple as a decorative room divider or just designate an area in the corner of a room. Treat your child to a fun day out on days when school is out. It can be simultaneously fun and educational. For example, if the student is studying animals, you may take him to an animal sanctuary. A trip to the grocery store can be helpful for an economics class. Go anywhere that you can turn into a learning experience on the subject matter that your child is studying. You certainly don't want to bribe a child to do well in school, but a fun and educational gift every Friday can help excite and motivate your child. Since it's summer time, you can make it part of a fun weekend away from school. It's important for kids to be able to let loose and have a lot of fun during the summer months. Encourage your preteens or teens to complete the lesson of the day, then let them set the tone for the rest of the day. Lots of free time to just have fun helps kids focus during school hours.